This chapter examines how culture, technology, and standards intersect to create a complex environment for preservice teachers that shapes their understanding of how to teach composition. The authors draw on the cases of two undergraduate students engaged in immersive digital writing experiences to present a model called “Pose/Wobble/Flow.” This model attempts to capture the non-linear, recursive nature of teachers' professional growth by acknowledging and interrogating uncertainties, positionality, and cultural privilege. The authors recommend the creation of virtual and face-to-face communities of practice wherein preservice teachers can take up stances, or poses, toward their practice and reflect on areas in which they “wobble” with the intent of attaining provisional moments of progress in their teaching. They conclude that engaging preservice teachers in cycles of Pose/Wobble/Flow increases the likelihood that they will in turn construct learning experiences for their students that include robust opportunities for digital composing and interaction. Developing digital pedagogies. Learning effective strategies for teaching English Language Learners to write. Figuring out how to meet challenging instructional standards. Any one of these tasks can be challenging for preservice teachers and teacher educators alike, but in many schools today, none of them occurs in isolation. As you can see, however, Brittany, the preservice teacher we quote above, describes the process of taking on all three challenges at once as feeling “natural...in the moment.” We believe that she developed the ability to embrace the difficulties inherent in these simultaneous tasks through her participation in the “Saving Our Stories Project,” a youth writing program sponsored by the Colorado State University Writing Project (CSUWP). This ongoing program connects preservice English teachers, K-12 teachers across content areas, and elementary English Language Learners (ELLs) for the purpose of meeting an actionable need, in this case the preservation of stories from the local Latino community that might otherwise be lost. In this chapter we describe the multifaceted design of the Saving Our Stories (SOS) Project and related coursework from our respective reading and writing methods courses for preservice teachers. We outline the conceptual framework that informs those projects, including the principles of “connected learning” (Ito, Gutiérrez, Livingstone, Penuel, Rhodes, Salen, Schor, Sefton-Green, & Watkins, 2013) and a model for teacher growth and development we call “Pose/Wobble/Flow.” To illustrate these principles and the model, we present the cases of two preservice teachers--Brittany and Chelsea--and describe the role digital tools in particular have played in enabling their development into more culturally proactive teachers. We conclude the chapter by suggesting practical strategies that teacher educators might use to design similar professional learning experiences for preservice and practicing teachers in their respective contexts. 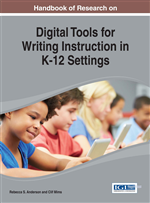 Likewise, we suggest that these strategies can be reflected in the day-to-day practices of new and current K-12 teachers. First, though, we turn our attention to the notable challenges and opportunities we have observed that our primarily white, middle-class university students face as they embark upon the changing landscape of English Education.